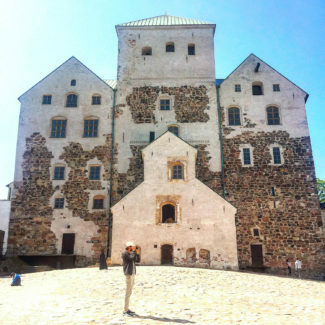 I first visited Finland in May 2016, and I fell in love with the country. Ever since my trip, Charles and I talked about going to Lapland in Winter to see the Northern Lights. Since we were going to be in London for Christmas, we figured that adding Lapland to the trip would be convenient timing. 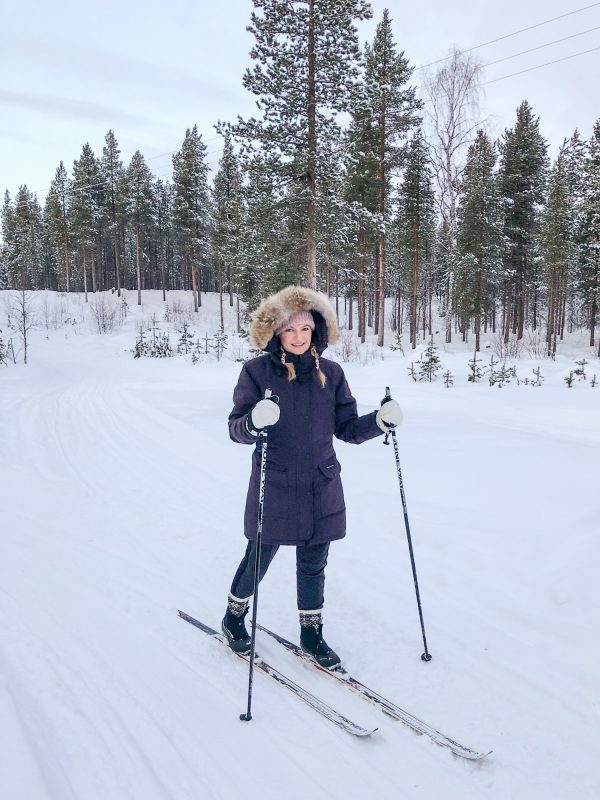 The primary objective was to see the Northern Lights, but we discovered so much to do in Lapland. We decided to split our time in Finland between Helsinki and Ivalo. Ivalo is a small town in the northern part of Lapland, within the Arctic Circle. 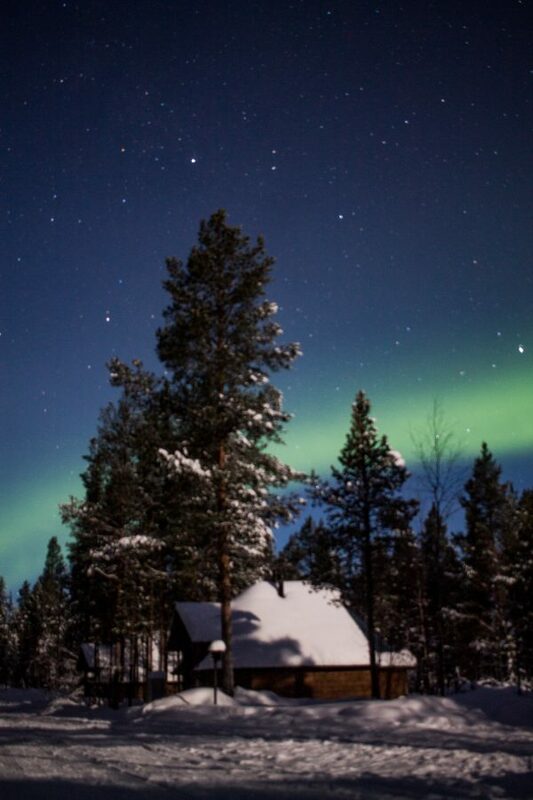 In Ivalo we got to stay in a cabin with big skylights to see the northern lights, and try adventurous winter sports. Lapland reminded me of Maine in so many ways. I love the stillness of winter. I love the snow covered trees. I love that when you stand in the woods that you can hear the tree branches creaking under the pressure from the heavy snow, and how that sound echoes. You get snow in Chicago, but you don’t get the sense of quiet and calm. I have missed it. I had been hoping for extremely dark nights. The nights where the sky is clear and the stars seem so close that you could reach up and grab them. When I lived in Maine I used to take those nights for granted, and now that I live in a city that I treasure them. We happened to be in Lapland just after a supermoon, so the moon was nearly full and very bright. We still had starry nights, but it wasn’t as dark as it would have been without the giant moon. 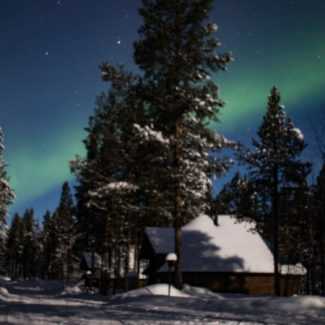 If you have never seen the stars in an area with very little ambient light, it is reason enough to take a trip to somewhere like Lapland (when the moon isn’t close to full). Let me begin by stating the obvious. 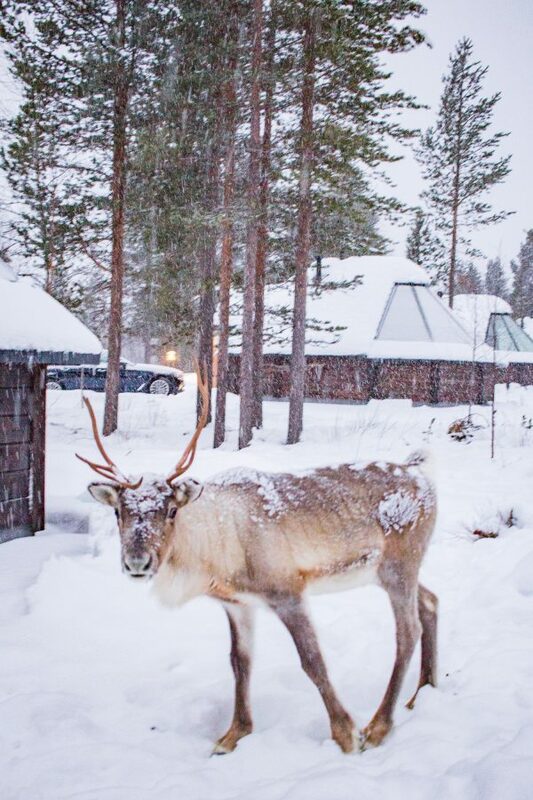 It is extremely cold in Lapland in Winter. We live in Chicago (and I grew up in Maine) so this didn’t phase us. We feel at home in the snow. 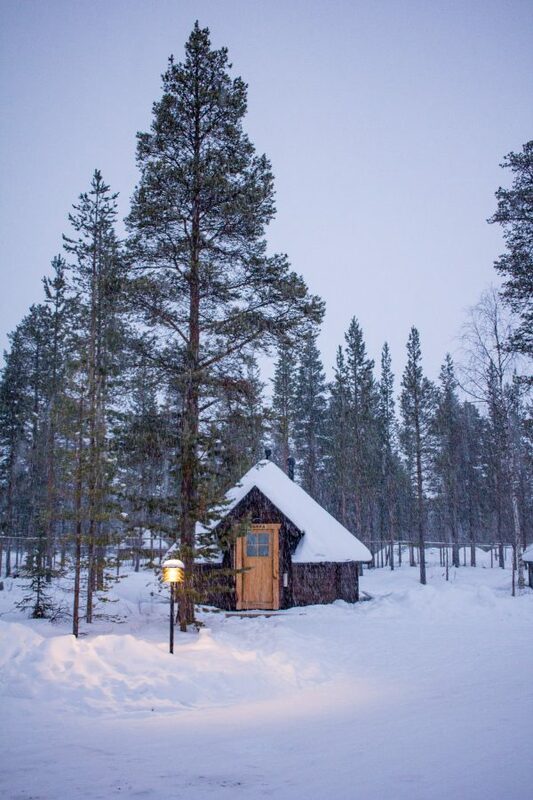 It is also important to know that daylight is very limited in Lapland in winter. We were there the first week of January and there was about 4 hours of sunlight per day. The sun never made its way over the horizon, so it wasn’t very bright, but it was beautiful. It was almost like a couple hours of sunrise immediately followed by a couple hours of sunset. The horizon line had an orange glow and the clouds in the sky were pink and purple (the picture above was taken after 10am). 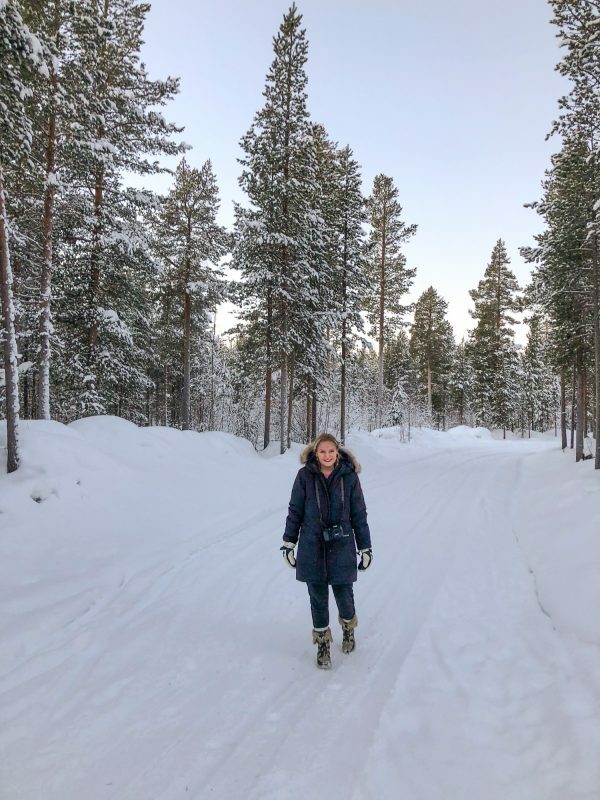 Lapland has become a popular wintertime travel destination, and I recommend planning your trip at least a few months in advance – especially if you want to visit in late December or early January. 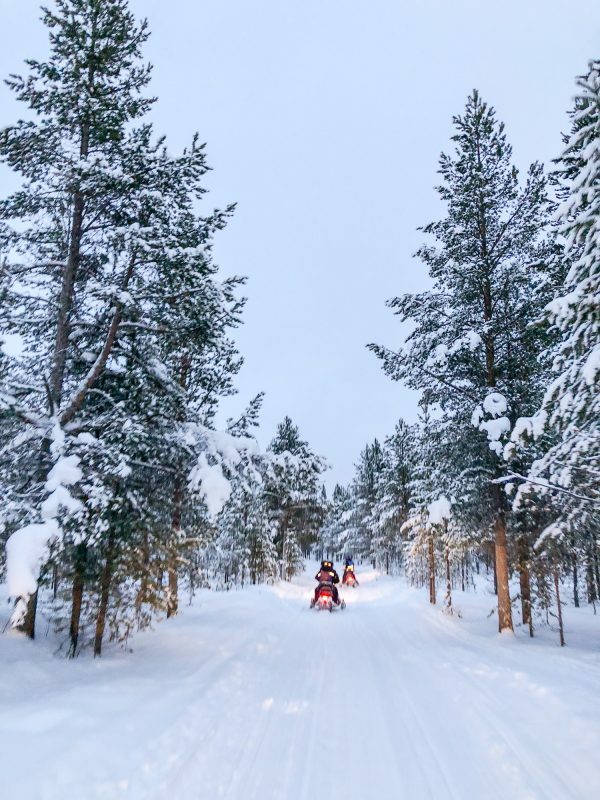 There are a few different tourist areas in Lapland. We chose Ivalo since it is so far north that we thought we would have a better chance at seeing the Northern Lights (this did work out in our favor). 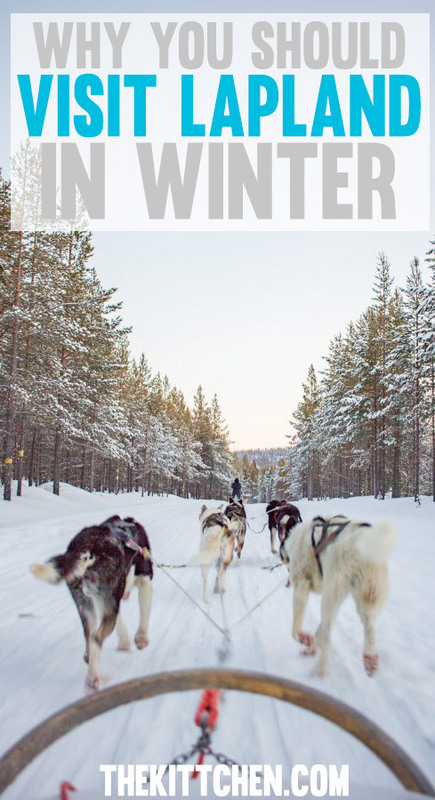 To get to Lapland, you will need to take a flight on Finnair from Helsinki. For this reason, we added a few nights in Helsinki. I love Helsinki and since we had to fly through, we thought we would add a few nights there. 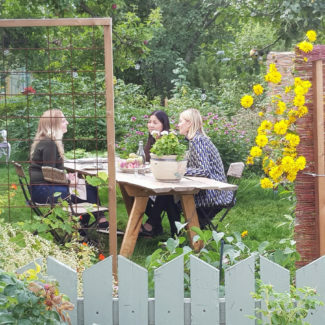 I want to point out that I love Finnair – I have always had a wonderful experience with them. Their planes have thoughtful design details I have never seen elsewhere, for example – there is a ledge that folds down from above the tray table to hold your iPhone or iPad at the perfect height while you watch videos. We stayed at the Aurora Village in Ivalo. We picked it because we really wanted to stay in a little cabin that has big windows over the bed so that you can see the northern lights. 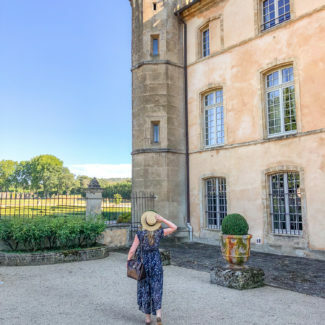 Hotels with this feature are extremely popular – so book in advance. 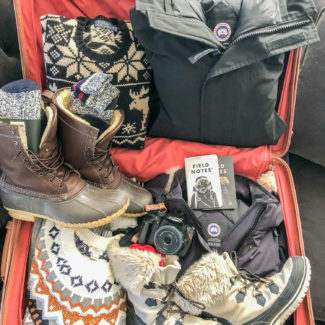 Aurora Village is a winter resort – there are plenty of activities to choose from including ice fishing, ice go karting, snowmobiling, dog sledding, sleigh rides, and aurora tours. 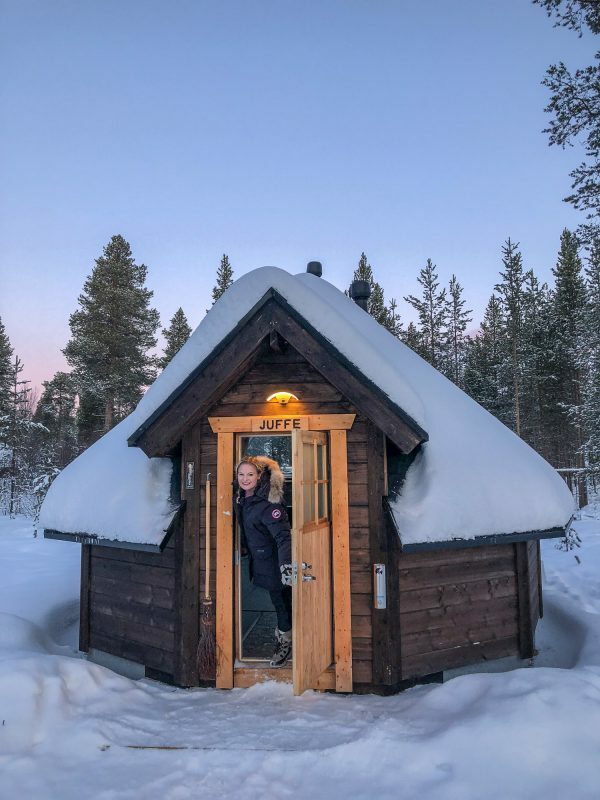 We spent three nights in Lapland and it was the perfect amount of time. We were able to experience lots of activities. Our days were spent snowmobiling, cross country skiing, sledding, and dog sledding. 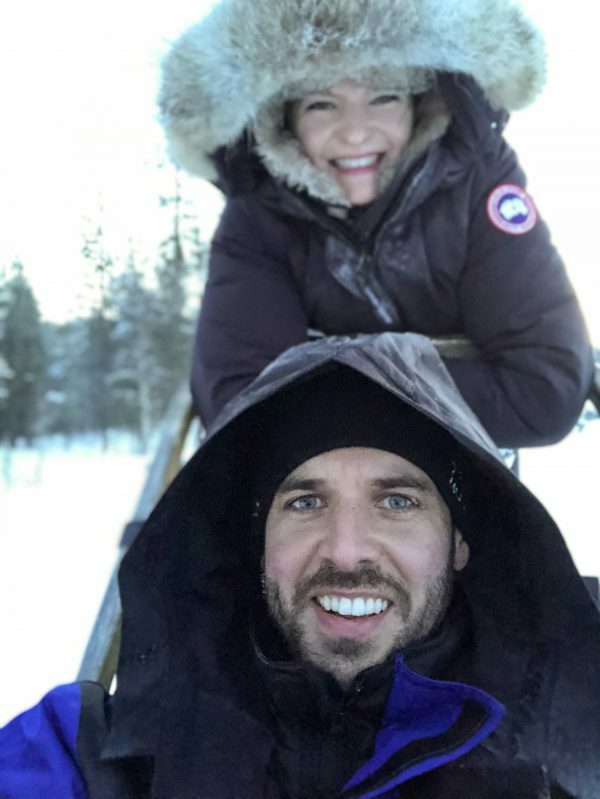 Dog sledding was a major highlight of our trip. 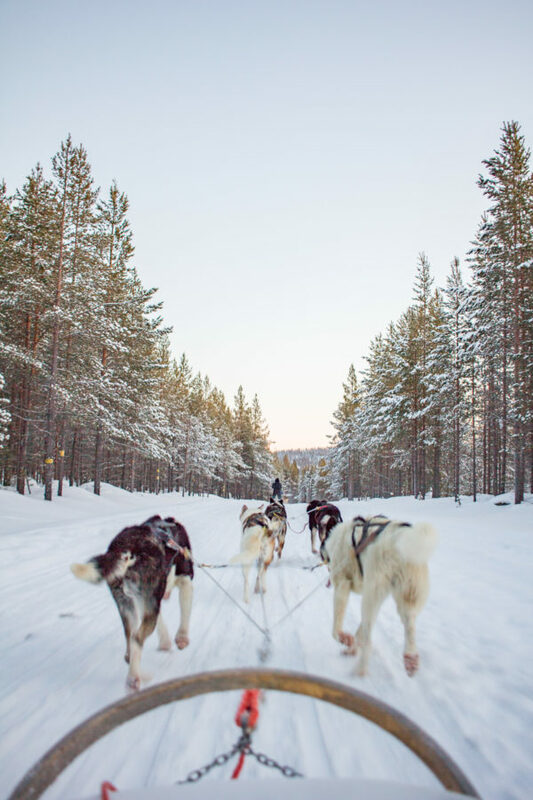 There are companies throughout Finland that offer dog sledding safaris. We absolutely LOVED it. It was more fun than I imagined. I loved driving the sled, but Charles preferred to relax in the sled. Driving the sled was exhilarating. I am dying to do it again. I can barely drive a car, but it turns out that I am good a driving a dogsled! 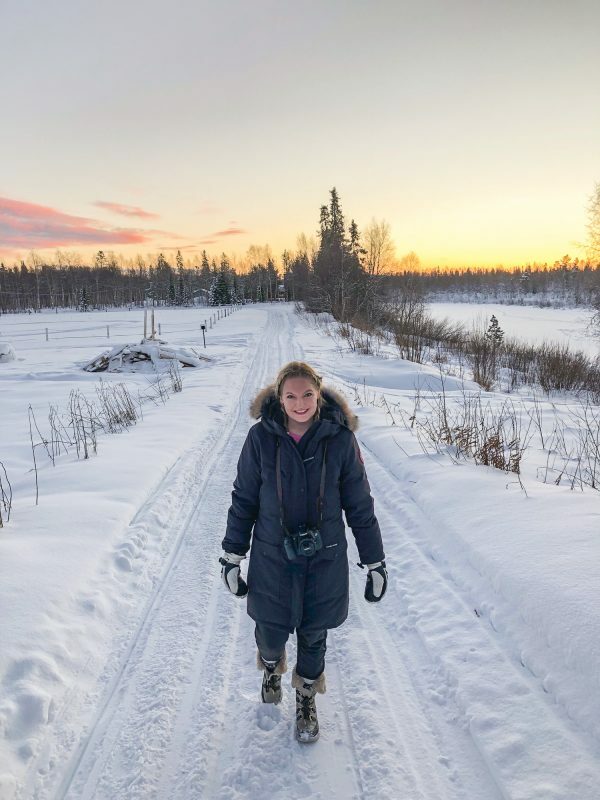 We did get very cold while we were dogsledding, even though I was wearing three layers of pants. If you ever get the opportunity to go dogsledding, promise me that you will do it. (And maybe get some toe warmers). I hadn’t been cross country skiing since I was a kid, but it is an easy thing to relearn. There are plenty of trails to explore right by the Aurora Village. It is a nice activity to take advantage of during the daylight hours. 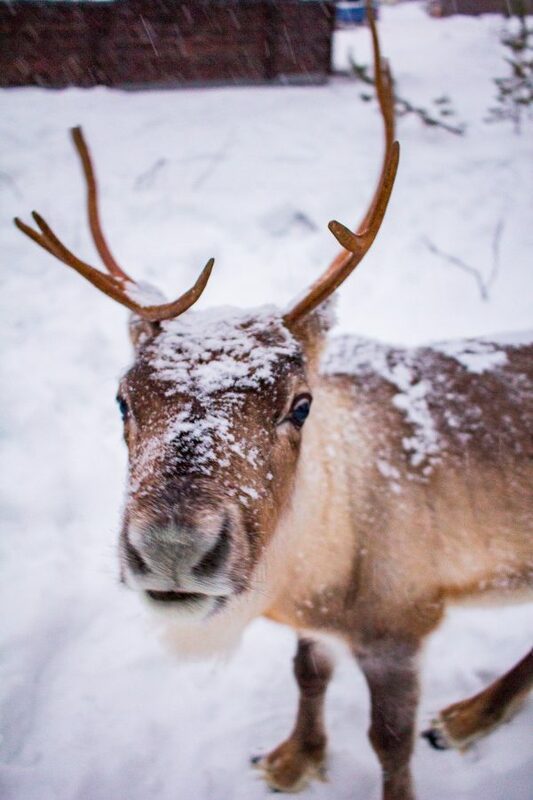 We started out days off by feeding the herd of 13 reindeer who live at the hotel. The hotel has snowmobiles and we went on a snowmobile safari, and I learned how hard it is to steer a snowmobile! I loved zooming through the snow-covered forests. And if you are lucky, you will see the Northern Lights. There is one pub in Ivalo and Charles really wants me to tell you about it. It is called Pub.Fi and it was just about a mile from the hotel (we took a shortcut and went over the frozen river to get there). They serve beer and perhaps the strangest pizzas I have ever encountered – if you like pineapple, blue cheese, and/or reindeer on your pizza you are in luck. We built our own pizza and it was pretty good! 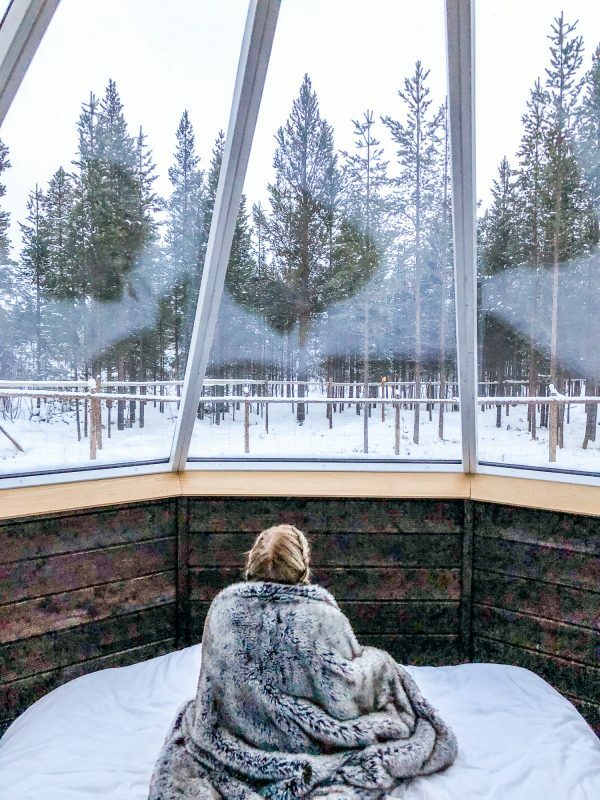 We spent three nights in Lapland and it felt like just the right amount of time. We were able to take advantage of most of the activities at the hotel, and we were able to see the Northern Lights.